Brent NW After Building Cleaning Commercial & Domestic | Quality Property Care Ltd.
Get decent residential and commercial after builders cleaning assistance as soon as possible! Contact us on 020 3746 4287 phone number. Contact our kind customer support representatives and organise a visit by our experts for professional after builders cleaning! Vetted after builders cleaners in Brent NW: leave them the keys and they will do the purge! The other benefits of using the expert services for cleaning after builders, include the fact that you can immediately start working or living in the renovated office, premises or home, right after the refurbishment has finished, and the cleaning team has performed a deep clean. Plus, the contract construction clean-up service ensures that the air in your house or office is free of dust and other harmful airborne particles which can cause breathing and eye irritations, allergies, asthma attacks and other problems. The professional cleaning company Quality Property Care Ltd. offers a complete bottom to top builders clean, which can be performed as soon as the builders are finished with the refurbishments. The after builders cleans can be done on the bank holidays, in the night, on the weekend, or when you are not home, for your convenience. For more than 12 years, Quality Property Care Ltd. has been providing both domestic and commercial after builders cleaning services to the businesses and people in Brent NW. The expert cleaning service is done by very thoroughly checked, fully insured, trained and reliable cleaners. The after builders cleaning service is hourly based, and naturally the number of hours booked depends on the customers preferences, as well as the size of the property, the volumes of debris and dust, and the overall condition of the premises after the construction or refurbishment work. 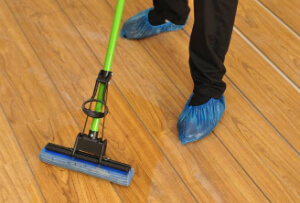 The company offers very expedient and high quality post-renovation cleaning and contract construction clean up services, and can also provide builders waste removal and a number of other cleaning and maintenance services. Quality Property Care Ltd. is the right after builders cleaning service provider for you, simply call 020 3746 4287 and book a date. Our team of experts is capable of removing even the toughest stains. Simply call and ask your question, we will respond immediately and help anyway we can. Our customer care desk is available, free of charge or obligations.